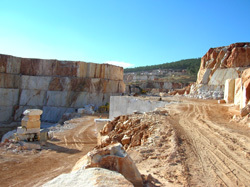 StoneMasters.ca welcomes you to experience our excellent line of natural stone products. Our mission is to provide our customers with the highest quality and the finest craftsmanship while keeping our products affordable. We manufacture most of our products at our own production facilities in Europe and Toronto. We offer a wide range of products in natural stone such as custom fabrication, kitchen and bathroom countertops,tiles,mosaic tiles,fireplace mantels,dining tables, sinks,shower bases and even bathtubs. Our tiles and mosaics are available in many different colors, styles and sizes, stocked in our warehouse ready for shipping. We have professional inspectors traveling in Europe to examine our products before they are shipped out from the source. We ensure that all orders are processed under strict quality standards, and to our customers’ specifications. A personal inspection of the product prior to its departure by our experienced staff, guarantees up most precision and highest-quality product for every order. During the weekdays please call to book an early morning appointment or else afternoon visits are highly recommended without any appointment.